Welcome to the chew & escape proof dog harness guide. Aimed at frustrated dog owners that are sick of their pooch destroying their harness as well as those that want something more ‘industrial’ and strong to keep their beloved pet secure for maximum peace of mind. Some dogs are extremely strong animals, and their constant fighting to escape the leash while out on a walk can take its toll on leashes and harnesses. With many brands and types of dog harness available all with different features and drawbacks it can be difficult choosing the right one for you and your home. We will show you a range of different harnesses that meet your requirements. 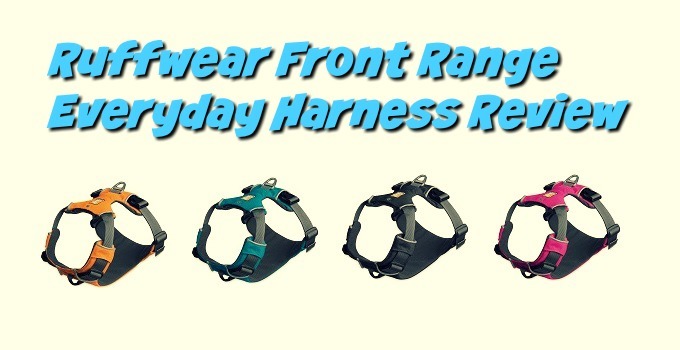 If you are in a rush, check out our top 3 dog harness picks in this comparison table below. Taking full control of your dog while on a walk is essential for you the owner as obviously, you do not want your pooch escaping from you and coming to harm. Most people tend to use the standard dog collar and a leash attached but that can cause problems such as the dog escaping as well as the respiratory and choking hazard that comes with collars. Fitting your dog with a harness solves a lot of potential problems all in one. They secure your dog much better than an ordinary collar keeping your pet well under control with minimal risk of escape. They also offer health benefits to your pet by distributing the lead pressure across the front of their body instead of just around their neck. There are many types of dog harness available all in different sizes and styles. Unfortunately as many of you dog owners will know – dogs love to chew stuff and this is not limited to their harnesses and leashes. The great news is that there is also a range of chew proof harnesses that are made of more hardy stronger materials that will last you a very long time. If your dog constantly tries to escape from their leash at walking time. You should have a good idea what type of harness you will need as there are a number of different kinds that suit different dogs and owners. Standard – These encircle the dog’s torso above and below their front legs. Sometimes they have adjustable straps that connect around the lower portion of the dog’s body then the top is attached to the top. Step in – Comprised of straps around the top and bottom leg strapping; the dog is able to step into the harness, and this reduces the risk of choking compared to other types. Vest – Often used as a fashion accessory more than a harness, they enclose the majority of the dog’s body in fabric and are held closely with straps. Owners can add little accessories to make their dog look cute. Most common with smaller breeds of dog. Built-In Leash – Many harnesses of all types can have built in leeches. This keeps things simple and secure. Easy On – Easy on harnesses feature quick release buckles. This allows the harness to slip on and off easily. They are not ideal for larger dogs as they can be flimsy. They have quick release buckles for simplicity. 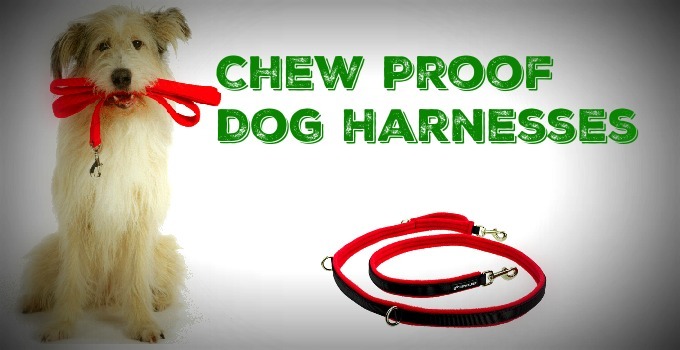 The most important factor when choosing a chew proof harness is the Materials/fabric used. The material used pretty much determines the harness’ durability and strength. 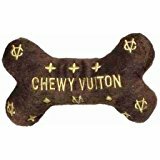 Those made of cheap low-quality materials will not last long, especially on a dog that loves chew. One of the most common and indeed strongest materials used is nylon. Nylon is strong, especially when weaved into a mesh for creating harnesses. The most durable harness’ will have top stitching as well as be fused together. If you are shopping online you can still determine if a harness has been top stitched by looking for a strip around the edge of the harness – this is called the biased strip. The purpose of the biased strip is to encase the fused fabric edges giving extra strength. Getting the correct size harness for your dog is important. A loose fitting one can be escaped from easily, and a tight fitting one can be uncomfortable and unsafe for your pooch. Easy to put on your dog and comfortable for them to wear – The Ruffwear Front Range Harness is our first and favored pick for a chew proof dog harness. 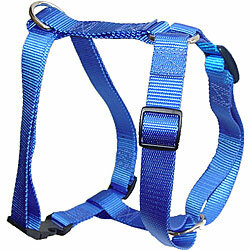 First and foremost this harness is very easy to fit on your dog, and it is a very comfortable fit for them to wear. You have a choice of two secure V-Ring attachments made of aluminum for your dog leash, and there is an ID pocket to keep your dog’s name tag in which would be invaluable if your pet pooch ran off and got lost. The Ruffwear is made of Ripstop nylon making it heavy duty and hard wearing thus making it an excellent chew proof dog harness. 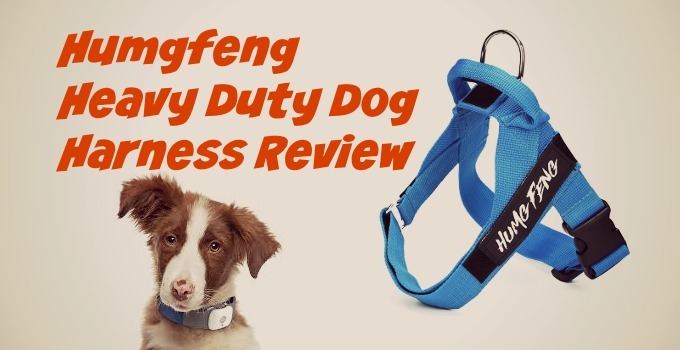 Indeed, a well wearing secure harness, however, some customer reviews have revealed concerns that it might not be ideal for dogs that are heavy pullers. Another great thing about this harness is the range of beautiful colors available to choose from as well as the sizes available. You can easily choose the color and size to fit your dog size and their personality. 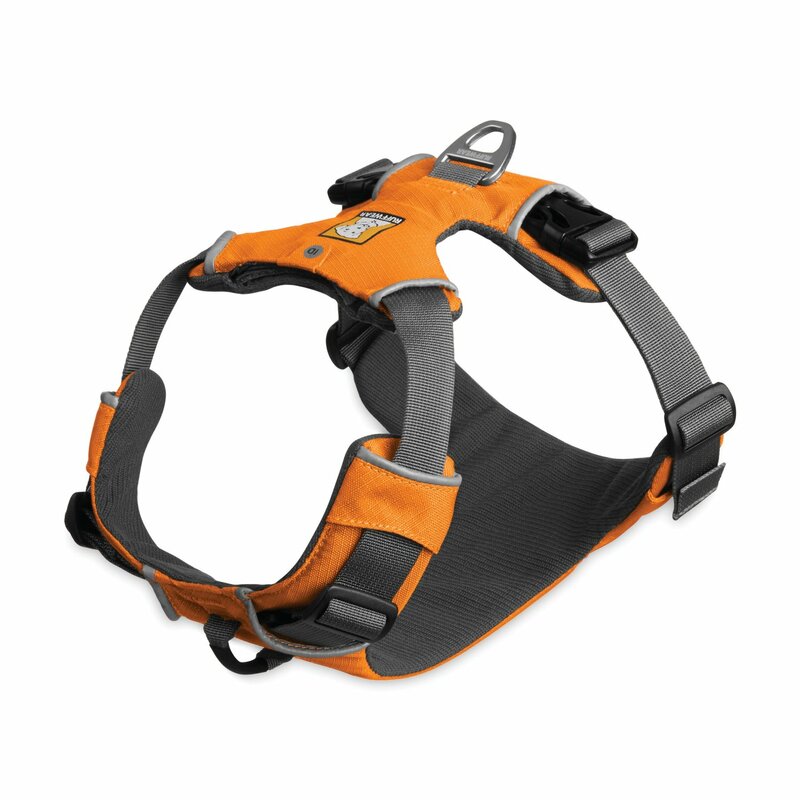 The Ruffwear Front Range Everyday harness is a fantastic everyday harness for your pooch. The main positive is the fact that it is easy to fit for large and small dogs. So would be ideal for those with a troublesome pooch that is averse to wearing harnesses. The harness is made of strong nylon that is very hard wearing and is very chew proof. What Are The Best LED Light Up Dog Collars? Shine on.Shine on. My 5 month old lab could destroy anything you make in an hour.Selling to idiots? The only way a harness could be chew proof would be if it was made from metal mesh. DoggyToggery.com is a 100% free website aimed at dog owners. 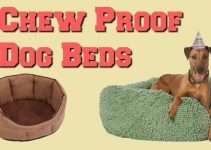 Our focus is providing dog lovers worldwide with reviews, articles and unbiased product comparisons. 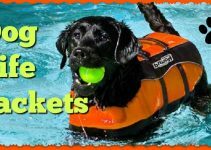 DoggyToggery.com is supported by the affiliate commision we recieve via puchases made through our links. Please feel free to contact us with questions or comments. 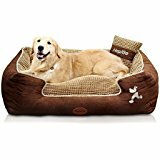 DoggyToggery.com is a participant in the Amazon Services LLC Associates Program, an affiliate advertising program designed to provide a means for sites to earn advertising fees by advertising and linking to Amazon properties. DoggyToggery.com does not intend to provide veterinary advice. While we provide researched information and dog education, the content here is not a substitute for veterinary guidance.